Gibson Brands, Inc., as the modern-day company is called, was founded in Kalamazoo, Michigan in 1902. 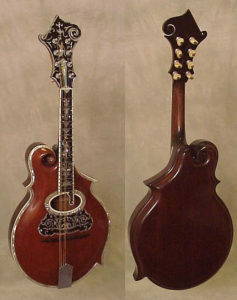 There, Orville Gibson had been making mandolins of various sizes from his home starting circa 1894. He was also the first person to apply a carved, violin-like soundboard to a guitar, inventing the archtop guitar, the earliest known example having been built in 1897. In 1902 local businessmen formed the corporation around Gibson’s designs, hiring the namesake luthier as a paid-by-the-hour employee. 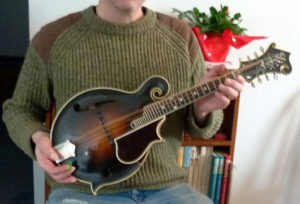 All we know for certain is that he made his last mandolin in 1906, and that he was paid a salary of $500 in 1908. But historians believe he remained involved with the company until shortly before his death in 1918. It was Lloyd Loar who really put the company on the national map. A gifted musician and instrument designer, Loar was hired in 1919 and left in 1924. But not before creating the benchmark L5 archtop guitar and F5 mandolin. The ones built and signed by Loar are among the most desirable fretted instruments ever created. 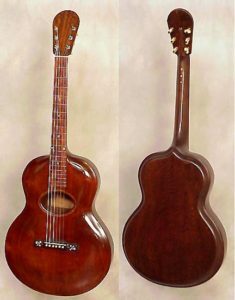 Gibson retired their archtop L1 guitar in 1934 and replaced it with the L1 flattop the next year. This was followed by a quickly-evolving catalog of slope-shoulder flattop guitars, including the famous L00, Advanced Jumbo, Super Jumbo 200, J-45, and J-50, as well as many iterations of their L5 and Super 400 archtops, and other archtop models, as well as being an important player in the development and rise of the solid-body electric guitar. Today, Gibson is a privately-owned corporation under the leadership of CEO Henry Juszkiewicz and President David H. Berryman, who rescued the company shortly before it went out of business in 1986. This modern corporation has many other products besides guitars and mandolins. But they have also dedicated considerable resources to revitalizing Gibson’s acoustic guitar line, including meticulous recreations of vintage Gibsons, in their True Vintage series, and ever newer versions of their most popular models. This page is a work in progress and will be expanded as opportunity arises.